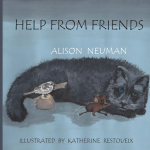 Alison Neuman is an author/playwright/choreographer and dancer living in Alberta, Canada. She has been passionate about the arts and performance since she was a young child, and those passions have helped shape her career. Alison first began to seriously consider a career in the arts at the end of her studies at Grant MacEwan College, where she was completing a Bachelor of Applied Communications Degree. She realized that she was driven by a love of the written word and its power as an expressive medium. 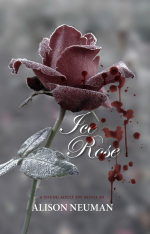 It was then she decided to pen her first young adult novel, Ice Rose. The story follows the story of a young secret agent who just happens to be in a wheelchair, and its publication signaled an important change in her career aspirations. The experience of writing opened up a new world to her, giving her an unlimited playground for her imagination. Ice Rose also marked an important moment for Alison personally, as it solidified her commitment to promoting inclusion for children and adults with disabilities. One of the endeavours she is most proud of is her creation of Camp Mission Access. An integrated children’s summer camp, centered around a secret agent theme, it is designed to include children from all walks of life. She has also been a performing member of both iDANCE Edmonton and CRIPSiE (Collaborative Radically Integrated Performers Society in Edmonton) since 2010, both integrative dance co-operatives that include performers from various backgrounds and experiencing and not experiencing disabilities. She performed frequently with the groups, and has begun to choreograph. Her human rights work in advocating for the rights of persons experiencing disabilities has garnered her numerous honours, including a nomination for the 2011 John Humphrey Centre for Peace and Human Rights Award. In 2013 Alison was awarded the Glenrose Foundation Courage Award (Adult). In 2014 Alison was a Fierce Award Diamond Recipient in the Resilient Category. 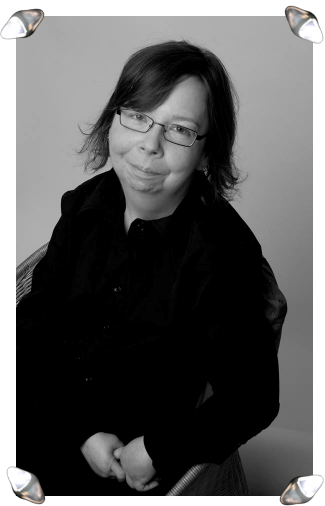 Most recently, Alison shared her personal journey with disability. 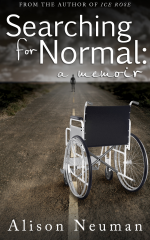 Her memoir, Searching for Normal, was published in November of 2013. It details her early life dealing with the rare disease, dermatomyositis, and her struggle to create an identity for herself that challenges society’s understanding of ‘normal’. The book received an Honorable Mention in Fireside Publications/Kadin Books’ Novel Writing Contest. A musical version of the memoir, scripted and co-directed by Alison, debuted at the Edmonton International Fringe Theatre Festival in August 2013. Alison’s other work has appeared in MacEwan Today, Westword, and the Edmonton Journal. Her non-fiction piece, Establishing Roots, earned a top-ten ranking in the Edmonton Stories contest. She was a winner in The Expressions of Hunger Contest in the Emotional Poetry category; her poem, Undeniable Craving was featured in various locations across the city of Edmonton. Other accomplishments include nominations for Avenue’s “Top 40 Under 40,” the Lieutenant Governor of Alberta Emerging Artist Award, Mayor’s Celebration of the Arts (Northlands) Award for an Emerging Artist and The Good Women New Work Award for choreographers. Thanks to amazing opportunities, her play, The Sunset Syndrome was chosen to be one of works in The Walterdale Theatre From Cradle to Stage New Works Festival, and in 2017 was produced by Lucky Wench Productions in the Edmonton Fringe Theatre Festival. Alison graduated with her Master of Arts – Interdisciplinary Studies at Athabasca University, while also running her business, Sandy Tree Communications. She is in the process of writing and editing her new book. A fiction novel, Hindsight. 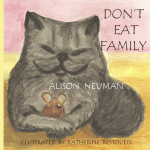 Alison also made her foray into the world of children’s books with the Friends and Family Trilogy; including Don’t Eat Family, the story of an unlikely duo: Fluffy the cat and her new friend, a mouse who uses a wheelchair for mobility and Help From Friends. In the future, she plans to choreograph several pieces, complete Hindsight, the last book in her Friends and Family series, and pursue additional creative writing projects.